Luxury sports car shoppers in the Alpharetta area are sure to be drawn to the 2017 Mercedes-Benz CLS models. The quintessential four-door coupe, the 2017 Mercedes-Benz CLS combines the precise handling, chiseled exterior, and exuberant powertrains of a premium coupe with the convenience, comfort, and features of a four-door luxury interior. The excellent safety scores, available 4MATIC® all-wheel drive (AWD) capabilities, and AMG® edition send it to the stratosphere. Find the Mercedes-Benz CLS Coupe that’s right for you at RBM of Alpharetta, located north of Atlanta. The 2017 Mercedes-Benz CLS 400 Coupe comes fitted with a 3.0L biturbo V6 engine and a 7-speed automatic transmission that pumps out a confident 329 hp and 354 lb-ft of torque. The standard version delivers this power to the rear wheels, while a 4MATIC® AWD version is also offered. Fuel economy comes in at an estimated 30 mpg highway and 20 mpg city with rear-wheel drive, or 26 mpg highway and 19 mpg city with 4MATIC® AWD. Moving up to the CLS 550 Coupe guarantees the added power of a 4.7L biturbo V8 engine and a 9-speed automatic transmission that serves up a robust 402 hp and 443 lb-ft of torque. 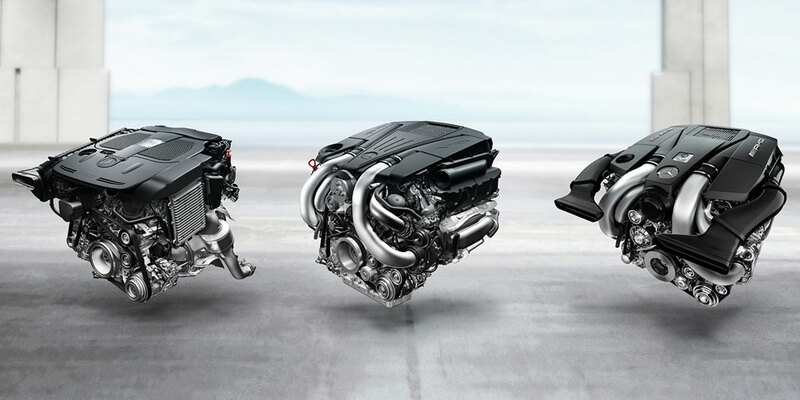 Fuel economy is similar with both drivetrain setups, with 26 mpg highway and 18 mpg city on rear-wheel drive, or 25 mpg highway and 17 mpg city with 4MATIC® AWD.A truly top-notch contender in the sports coupe class, the AMG® CLS 63 S Coupe features a 5.5L V8 twin-turbocharged V8 engine, which is attached to a 7-speed AMG® SPEEDSHIFT® transmission that helps it serve up an astonishing 577 hp and 590 lb-ft of torque. All versions of this model come with standard 4MATIC® AWD along with a whole suite of AMG® racing parts, such as performance braking, an adaptive sport suspension, a sport exhaust system, and a drive unit with E-SELECT®. All of this helps it to achieve a blistering 0-60 MPH time of around 3.5 seconds. You’ll also get 19-inch 10-spoke aluminum wheels and a rear spoiler to aid aerodynamics. Inside and out, the 2017 CLS embodies trademark Mercedes-Benz luxury. The CLS 400 and CLS 400 4MATIC® sport curved AMG® body styling with a sloped roof, a diamond-block grille, full-LED headlamps, and 18-inch alloy wheels, while the cabins feature genuine wood trim, a power sliding sunroof, premium leather upholstery, and multicolor ambient lighting. There are also heated front seats with 14-way power adjustments. Standard tech includes HD Radio™ and an 8-inch freestanding display screen. The cabin of the CLS 500 gets fitted with more advanced features as well, including a standard DVD player, SiriusXM® Traffic and Weather, COMAND® navigation, and TuneIn® radio. As the top-tier coupe in the CLS lineup, the 2017 Mercedes-Benz AMG® CLS 63 Coupe delivers a truly unique driving experience. The interior features illuminated door sills with AMG® branding, an IWC® “Ingenieur” analog clock, and an AMG® performance steering wheel. You’ll also get superior semi-aniline leather upholstery. Starting at $66,900, the 2016 CLS 400 Coupe sports a 3.0L biturbo V6 engine that produces 329 hp and earns a 20 mpg city/30 mpg highway rating. This fuel-efficient yet potent four-seater includes an 8-inch infotainment display, leather upholstery, ATTENTION ASSIST®, and auto-dimming mirrors. The 2016 CLS 400 4MATIC®® Coupe, starting at $69,400, includes the CLS 400 Coupe’s powertrain and feature, but swaps rear-wheel drive for 4MATIC® all-wheel drive. 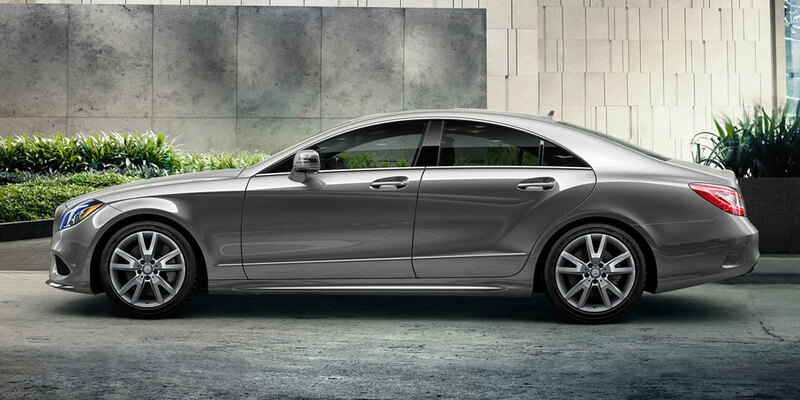 Despite its all-terrain capabilities, the CLS 400 4MATIC® earns an impressive 19 mpg city/26 mpg highway rating. Powered by a 402-hp 4.7L biturbo V8 engine, a 9G-TRONIC® automatic, and AIRMATIC® air suspension, the 2017 CLS 550 Coupe, starting at $74,850, glides from 0 to 60 mph in 4.9 seconds. Voice control with learning feature, COMAND® navigation, and a harman/kardon® Logic 7®** sound system are all staples inside the cabin. Starting at $77,350, the 2017 CLS 500 4MATIC® Coupe is motivated by the same powertrain as its sibling – the CLS 550 – but offers added traction control, thanks to 4MATIC® all-wheel drive. Accompanying systems, such as 4-ETS® and specialized ESP®, intelligent balance torque amongst the four wheels. Capable of accelerating from 0 to 60 mph in 3.5 seconds, AMG® CLS 63 S Coupe owes its power to a 577-hp, hand-built biturbo V8 engine. Starting at $108,900, this powerhouse enlivens every moment spent on the road with AMG® Performance 4MATIC® all-wheel drive and AMG® RIDE CONTROL Sport Suspension. Compare the CLS 550 4MATIC® and BMW 6-Series Gran Coupe! With a starting MSRP of $82,800, the 2017 BMW 6-Series 640i xDrive Gran Coupe sports a 315-hp 3.0L twin-turbo 6-cylinder engine, and accelerates from 0 to 60 mph in 5.2 seconds. However, for a lower starting MSRP of $77,350, the 2017 CLS 550 4MATIC® generates 402 hp and reaches 60 mph from a standstill in just 4.9 seconds. While the 6-Series Gran Coupe includes similar features, such as LED headlights, leather upholstery, and power-adjustable front seats, it lacks the CLS 550 4MATIC® Coupe’s plethora of standard driver assists. Built to prevent and react to on-the-road hazards, the CLS 550 4MATIC® includes PRESAFE®, ATTENTION ASSIST®, and COLLISION PREVENTION ASSIST PLUS®. When you want a sports coupe that delivers uncompromising features and vital, precision-oriented performance around every turn, the 2017 Mercedes-Benz CLS is for you. 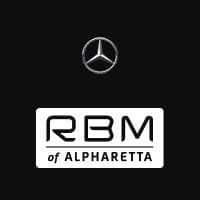 Take it for a test drive at your Atlanta-area Mercedes-Benz dealer, RBM of Alpharetta, at 345 McFarland Parkway in Alpharetta, GA. We’re just north of Atlanta! You can also call us with questions about this impressive lineup at .